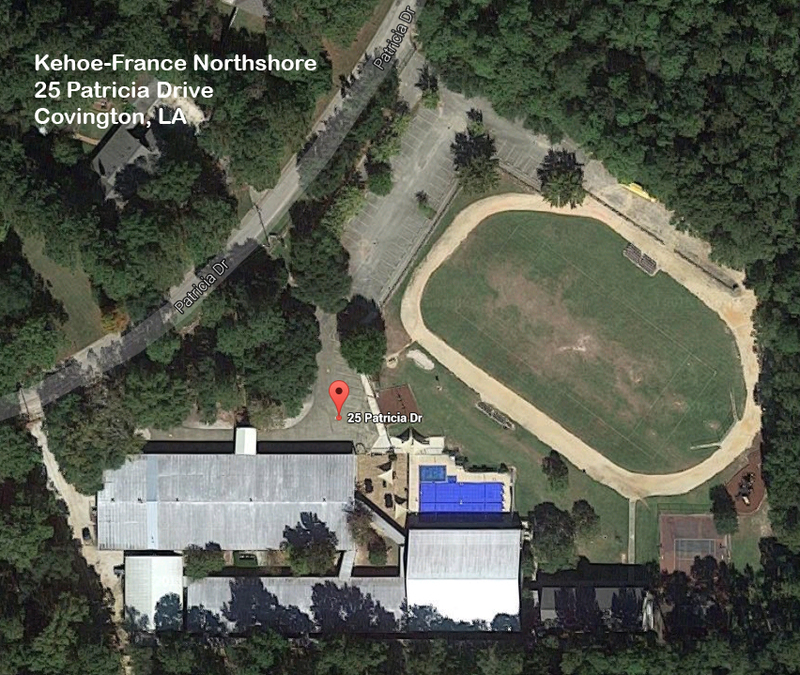 Kehoe-France Northshore is located at 25 Patricia Drive, in Covington's River Forest Subdivision. Please join us at our beautiful 12 acre facility which includes athletic fields, modern playgrounds, competition swimming pool, tennis courts and gymnasium. In addition, Kehoe-France has a full service cafeteria, library, technology lab, art studio and science labs.